This easy-to-prepare beginning band comedy piece will have the audience rolling in the aisles. Feature that popular principal, custodian, secretary (or any other staff or community member who has a bit of a comedian in them) to be the triangle soloist. 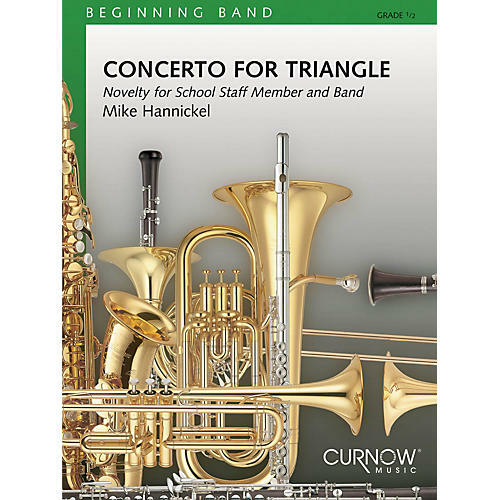 Problem is, one interruption after another prevents the soloist rom actually PLAYING the triangle - until the very end of the piece when, with a band member's assistance, the soloist finally gets to play the triangle one single time. Side-splitting!